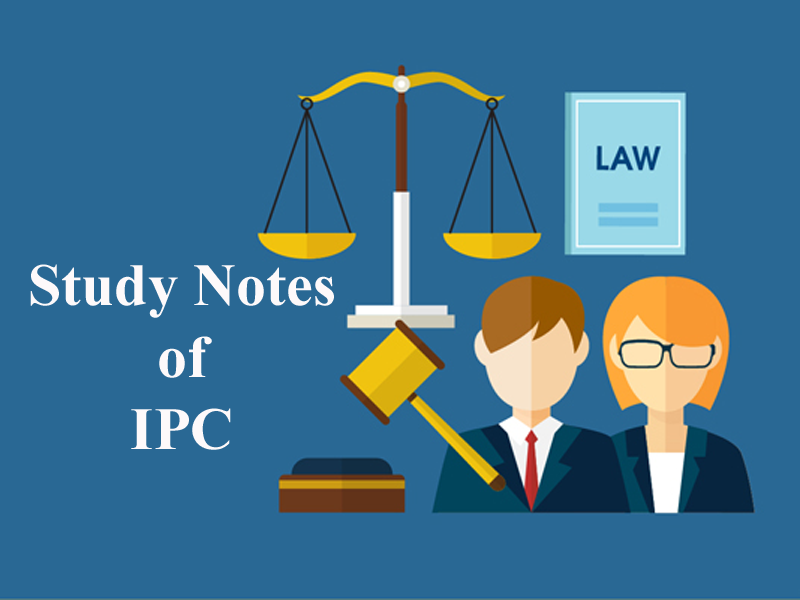 Here we are providing you updated and most relevant Study notes on IPC of General Exceptions for Law Entrance Exam. These study notes are highly recommendable for all those who aspire to crack CLAT, DULLB, AILET and other Law Entrance Exam. Chapter IV of the IPC comprising of Sec.76-106 deals with General Exceptions. It exempts certain persons from attracting criminal liability even if the act or omission of the accused falls under the definition of the offence. Nothing is an offence, which is done by accident or misfortune, without criminal intent or knowledge in doing of a lawful act in a lawful manner by lawful means with proper care and caution. All these ingredients must concur to succeed in proving the defence of accident. Example: A and B were participating in a wrestling competition, A dealt a blow upon B, there upon B fell and was severely injured. Under the circumstances, it is a case of pure accident. In the following cases an act basically forbidden by criminal law is done without any criminal intent. Example: A huge fire engulfs a row of huts, a passer by, pulls down houses to prevent fire from spreading. Now, he is not guilty of an offence, as he did it to avoid a major tragedy. ii. An act of a child above seven and under twelve years, who has not attained sufficient maturity of understanding to judge the nature and consequence of his conduct, is also no offence, children of adolescent age. iii. An act of a child over twelve years is an offence, if he can understand the consequences of an act he intended to do and actually do it. Example : One 10 year old boy picked up a knife and threatened to cut his uncle to pieces and did actually kill him. In this case, it is obvious that the boy actually carried out what he intended and knew would bring about the desired outcome. The boy was held liable. Nothing is an offence, which is done by a person, who, owing to unsoundness of mind, is incapable of knowing the nature of the act or that he is doing is wrong or contrary to law. However, the code lays down two tests of criminal responsibility. i. Did the offender know/understand the nature of the act? ii. Did the offender know /understand that it was contrary to law? Nothing is an offence, which is done by a person, who, owing to intoxication, is incapable of knowing the nature of the act, or that he is doing is wrong or contrary to law, provided that the thing which intoxicated him was administered to him without his knowledge or against his will. However, Sec. 85 declares that voluntary intoxication is no excuse for the commission of a crime. (ii) if that person is incapable of giving consent, and has no guardian from whom consent can be obtained in time. Example : A is in a house, which is on fire, with Z, a child. People below hold out a blanket. A drops the child from the housetop knowing to be likely that the fall may kill the child, but not intending to kill the child, and intending, in good faith, for the child’s benefit. Here, even if the child is killed by the fall, A has committed no offence. Any communication made in good faith to a person is no offence if such communication causes harm to the person to whom it is made, if it is for such person’s benefit. Example : X, a surgeon in good faith, communicates to a patient his opinion that he cannot live. The patient dies in consequence of the shock. A has committed no offence, though he knew it to be likely that the communication might cause the patient’s death. Except murder, and offences against the state punishable with death, nothing is an offence, which is done by a person who is compelled to do it by threat, which causes the apprehension that instant death to that person will otherwise happen. This section gives protection to those persons who are threatened with instant death compelling them to commit an offence. Such a person can actually plead the defence of compulsion or coercion. However, the section states that this defence is not available where the accused in cases, where a person is compelled to murder another or commit an offence against the state, which is punishable. Nothing is an offence, which is done in the exercise of the right of private defence. The right of private defence is the right to protect one’s own person and property against the unlawful aggression of others. a) There is no right of private defence under the code against any act, which is not in itself an offence under the code. Example: A attacks Z with knife. Z in self-defence pulls out a revolver. This is not an offence on the part of Z. A cannot say, “Z was about to shoot me, so I killed him. “It will be seen in this case that if A had not in the first place attacked Z, nothing would have happened. b) The right of private defence cannot be persons who believing that they will be attacked, actually attack the others. c) The right to private defence should not be in excess. Note: Excess of right of private defence is not allowed and such act will not be an exception. 1. A sees B his enemy and runs after him and beats him up. B suffers a massive head injury. Does this fall under the general exception of accident? 3. ‘A’ sees B’s hut burning in order to save the other huts which were in line A pulls down the huts surrounding B’s hut. Can he claim protection under Sec. 81? 6. Nothing is an offence which is done by a child above seven years of age and under ________, who has not attained sufficient maturity of understanding to judge of the nature and consequences of his conduct on that occasion. 7. Ramu who turned six takes a gun and shoots his mother. Will he be held liable? 8. Voluntary intoxication is _______________ for the commission of a crime. 9. ‘A’ in order to save B a three year old from falling into the well pushes them aside. Will A be liable for any injury caused to B? 10. X, a surgeon in good faith communicates to Y that she has only three months to live. She dies of shock will the doctor be liable? 11. Except _________________________________________, nothing is an offence, which is done by a person who is compelled to do it by threat, which causes the apprehension that instant death to that person will otherwise happen. 12. Can Right to private defence be excessive? 13. Akash due to apprehension of grevious hurt from Asmi takes a gun and shoots her. Can he claim the right to private defence? 14. Papu, a boy of 6 years takes a toy when he visits Babu’s house. Is he guilty of theft? 15. X goes to the bar and drinks and in a rage removes his pistol and shoots Y, the bartender. Can he claim that he was involuntarily intoxicated? Get the updated and most relevant study notes on IPC of General Exceptions for upcoming CLAT and other Law Entrance Examination.